Haq's Musings: Was McNamara a War Criminal? Was McNamara a War Criminal? "Had we lost, we would have been tried as war criminals," said late Robert Strange McNamara, a former US defense secretary, who died today at age 93. One of the key architects and chief orchestrator of the deadly Vietnam war was quoting his commanding officer General Curtis Le May on the US firebombing of Japan that set entire cities ablaze. Just one night of intense Tokyo bombing by Americans is estimated to have burned 100,000 civilians to death. Talking about the Vietnam war in the 2003 documentary "The Fog of War", McNamara acknowledged the irreparable damage done by the defoliants, and the human cost of the bombing of Vietnam, where "more bombs were dropped than in the whole of WWII." The Vietnam War cost the United States 58,000 lives and 350,000 casualties. It also resulted in between one and two million Vietnamese deaths. 1. We misjudged then — and we have since — the geopolitical intentions of our adversaries … and we exaggerated the dangers to the United States of their actions. 2. We viewed the people and leaders of South Vietnam in terms of our own experience … We totally misjudged the political forces within the country. 4. Our judgments of friend and foe, alike, reflected our profound ignorance of the history, culture, and politics of the people in the area, and the personalities and habits of their leaders. 5. We failed then — and have since — to recognize the limitations of modern, high-technology military equipment, forces, and doctrine. 6. We failed, as well, to adapt our military tactics to the task of winning the hearts and minds of people from a totally different culture. 7. We failed to draw Congress and the American people into a full and frank discussion and debate of the pros and cons of a large-scale military involvement … before we initiated the action. 8. After the action got under way, and unanticipated events forced us off our planned course … we did not fully explain what was happening, and why we were doing what we did. 9. We did not recognize that neither our people nor our leaders are omniscient. Our judgement of what is in another people's or country's best interest should be put to the test of open discussion in international forums. We do not have the God-given right to shape every nation in our image or as we choose. 10. We did not hold to the principle that U.S. military action … should be carried out only in conjunction with multinational forces supported fully (and not merely cosmetically) by the international community. 11. We failed to recognize that in international affairs, as in other aspects of life, there may be problems for which there are no immediate solutions … At times, we may have to live with an imperfect, untidy world. In a 1995 interview with The Associated Press, McNamara confessed that "we of the Kennedy and Johnson administrations acted according to what we thought were the principles and traditions of our country. But we were wrong. We were terribly wrong." He never admitted responsibility for the Vietnam war but the terrible cost in terms of human life probably haunted him until his death. After retiring as Defense secretary from the Johnson administration, Mr. McNamara served as the president of the World Bank with the charter to alleviate poverty. 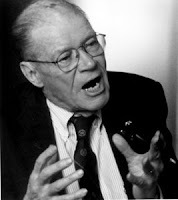 In an interview with Doug Saunders of Canada's Globe and Mail, McNamara decided to break his silence on Iraq. When Saunders told him that his carefully enumerated lists of historic lessons from Vietnam were in danger of being ignored, he agreed, and added that he was deeply frustrated to see history repeating itself. "We're misusing our influence," he said. "It's just wrong what we're doing. It's morally wrong, it's politically wrong, it's economically wrong." While he did not want to talk on the record about specific military decisions made Mr. Rumsfeld, he said the United States is fighting a war that he believes is totally unnecessary and has managed to destroy important relationships with potential allies. "There have been times in the last year when I was just utterly disgusted by our position, the United States' position vis-à-vis the other nations of the world." Will the US leaders learn from America's historical mistakes and the eleven lessons from wars as spelled out by McNamara in the "Fog of War"? I am not too sanguine about it, but I'd like to hope so. In spite of McNamara's introspection, candor and regrets about his role in Word War II and Vietnam War later in life, it is unlikely that the future historians will judge him kindly. McNamara deserves kudos for answering that question in the affirmative for himself. Muslims, Islamists, Americans, and others would do well to think about whether they can live up to that level of honesty. While I agree with you about his honesty, I think his crimes are unforgivable and his unwelcome legacy is long lasting.